The tradition of monument preservation in Slovakia ranks among the oldest in Europe. Its origins may be traced back to the first half of the 19th century, when the territory of Slovakia was part of the Austro-Hungarian monarchy. Initiators of historic monument preservation included historians, builders, archaeologists, collectors, teachers, physicians, natural scientists and engineers, as well as romantic literati and Church dignitaries. The Hungarian Scientific Academy embarked upon a number of undertakings to rescue Hungarian monuments, concentrating mainly on the territory of present-day Slovakia. However, due to opposition from the Government, Church and nobility, the Monuments Preservation Act could not be pushed through. The establishment of the Imperial and Royal Central Commission for Research and Preservation of Building Monuments (Central Commission) was a groundbreaking event, dating back to late 1850 in Vienna, then the capital city of the Habsburg monarchy. As the first official heritage authority, it was active in the territory of Slovakia until 1872. Apart from the practical conservation and restoration of historic monuments, it also developed art history as an autonomous scientific discipline. It was at this time that the first scholarly works on historic buildings in Slovakia were written, and the first Regional Monuments List was compiled. The principles of historic monument restoration developed through practice. Efforts to preserve all that was good in an ancient place – the building itself plus the fine art expressions of the past centuries – struggled with the Romanticising methods of monument reconstruction advocated by major architects and artists of the era. From the very beginnings, the Central Commission favoured the conservation method and respected new ideas on the protection of historic monuments. Nevertheless, its comments were often disregarded. Restoration, recovering and rebuilding of monuments in the spirit of the ideals of the Gothic, then regarded as the climax of European art, did not spare the action of the Hungarian Monuments Commission. This organisation was established in 1872 at the Ministry of Education in Budapest and was the principal institution of monuments preservation in Slovakia until the end of the first world war and the break-up of the Habsburg monarchy. Officials and members of the Hungarian Monuments Commission supervised the undertakings of monument preservation and inspected construction, restoration and artistic and artisan works. Equally they exercised their influence on the distribution of state subsidies. They devoted a great deal of attention to graphic, artistic and photographic documentation of historic monuments. Sacral architecture and medieval murals was the pivot of their interest, as were castles and chateaux, town halls and town houses, town fortifications and gates. The commission also contributed to the rescue of countless moveable artistic treasures. Unfortunately, some had been permanently moved since from the territory of Slovakia and housed in foreign galleries and museums. The first genuinely Slovak heritage authority, set up after the rise of the Czechoslovak Republic and consolidation of the Czechoslovak state power, was the Government Commissariat for Monuments Preservation in Slovakia, renamed in 1923 as the State Department for Monuments Preservation in Slovakia (the State Department). It was set up in October 1919 by Regulation No 155/1919, issued by Minister Vavro Šrobár, fully in charge of the administration of Slovakia. The State Department had broad powers; without its permission buildings erected prior to 1850 could not be reconstructed, restored or demolished. It had the power to co-decide on projects to build roads, railways, factories and other features of modern urbanism. Its competencies covered not only monumental, sacral and profane structures, art and historic monuments, but also folkloric, landscape, church, guild and industrial monuments, archaeological excavations and museum artefacts, historic libraries and archives. Supervision over the export of antiquities beyond the borders of the state, then thriving at an unprecedented scale along with a great migration of historic monuments owners, constituted a considerable part of its agenda. Other parts included the popularisation of historic monuments, the creation of exhibitions and publications, and efforts to preserve traditional views, ground plans and dominant landmarks. But legal norms were not perfect. There were no punitive sanctions to penalise the destruction of monuments and the authority of monuments experts often remained on paper only. Monuments preservation in Slovakia during the period 1919-1945 was not easy. The monument stock was very extensive, but save for few exceptions it was in pitiable condition. A substantial section of the population in Slovakia struggled with poverty and illiteracy, existential problems far exceeding in significance the cultural ones. The scarcity of funds, from both state and private sources, did not allow for larger monument preservation undertakings. Restoration efforts mainly concerned village Romanesque and Gothic churches and smaller municipal churches; lesser investments were made in castles and castle ruins, fortifications and monasteries. Archaeological excavations were paid great attention. The rescue of wooden churches in Eastern Slovakia is regarded to be the greatest success of the State Department. In the field of restoration too, works of sacral subjects (altars, pictures, sculptures, murals) prevailed. Statues and monuments situated within city and village boundaries were also restored. But there still remained many monuments for the preservation and restoration of which financial funds could not be found. The professional status of preservationists was also tough. Among the meagre numbers of Slovak intelligentsia, skilled professionals were in short supply. Professional literature was lacking, there was no register of monuments to be protected, and all the files and documentation materials of the Hungarian Monuments Commission were stored in Budapest. Hence, the first Slovak preservationists started with a ‘clean sheet’. 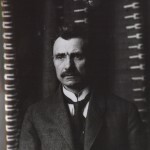 The first Head of the State Department was the architect Dusan Jurkovic (1868-1947). However, his idea of monument restoration as a creative architectural activity did not agree with the modern concept of monument preservation. 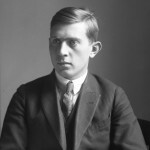 In 1922 he was replaced in office by Czech art historian Jan Hofman (1883-1944), who not only devoted himself to the technical problems of monuments preservation but also became an enthusiastic writer, popularising the monument stock of Slovakia and Carpathian Russia (today part of Ukraine). He realised very well that without the support of the Slovak general public he would find it difficult to enforce consistently the attitudes of a preservationist in an environment where Hungarians and Germans felt themselves to be the statutory heirs of cultural property. The two cited nations lost their ruling position in the Czechoslovak Republic and were eager to use the smallest fault of the Czechoslovak administration and its officials as an excuse for withering criticism. 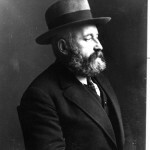 In the methodological area, Jan Hofman adhered to the Viennese School of Max Dvorak and Alois Riegel, which in the early 20th century set the trend in monument preservation for the whole of Europe, specifically in terms of its conservation methods. The values of age were seen to characterise the principal value of a monument. 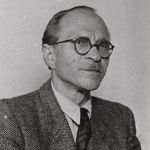 In contrast, another Czech official of the State Department, architect and art historian Václav Mencl (1905-1978), went even further in the undertaking of monuments preservation, when in the restoration and rehabilitation of elements of architectural styles from different historic periods he did not fear their analytical presentation. His research, documentation and synthetic works constitute the principal resources to date for the study of sacral, folkloric, urban architecture and urbanism. Painting and sculpture, as well as the architectural monuments of the Baroque, 19th- and 20th-century art, were at the forefront of the interests of Slovak art historian Vladimír Wagner (1900-1955), who emerged as the principal Slovak preservationist from the year 1927 until his death in 1955. He was the first scholar to recreate the synthetic art history of Slovakia. Jan Hofman, Vladimir Wagner and Vaclav Mencl are inscribed in the history of Slovak heritage conservation as its great founding figures, and their works still serve as sources of knowledge and inspiration for contemporaries. The State Department for Monuments Preservation in Slovakia terminated its activity during the turbulent events of March 1939 when, under pressure from Fascist Germany, the Czechoslovak Republic came to an end. The preservationists of Czech nationality, Jan Hofman and Vaclav Mencl, had to leave to live in the Protectorate of Czech Lands and Moravia. However, the continuity of work, albeit considerably weakened as the result of wartime, was maintained. The State Department’s agenda was transferred to the Monument Department of the Ministry of Education and National Edification in Bratislava, with Vladimir Wagner becoming its head. 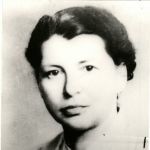 Alzbeta Guntherova-Mayerova (1905-1973) proved herself to be an enormous support in terms of practical, theoretical, organisational and technical works relating to monuments preservation. A great connoisseur of art of European stature, she worked not only as the monuments expert but also as a pedagogue and museologist. Despite later disfavour with the Communist government, she made a major contribution with her work to the knowledge of Slovak history and Slovak art. The paramount problems of 1939-1945 concerned the protection of monuments against bombardment and direct battle actions, but also included the uncontrolled export of monuments to Germany. With the movement of the front, massive damage was caused to Slovak monuments, the greatest ever sustained in the country’s history. Looting of unguarded structures in which soldiers and local populations took part caused additional, senseless damage. It was during this period that the furnishings of rural aristocratic mansions suffered greatly, indeed many of them were never again to be restored to their previous lustre. The number one post-war task was their operational rescue and safeguarding against further destruction, which was attended to by monuments preservationists in co-operation with museums, libraries and archives. A special administrative authority, the National Culture Commission (1946-1951), was set up for the administration of structures of high historical and artistic value confiscated from Germans, Hungarians, collaborators and traitors of the Slovak nation. Its role was to oversee the rehabilitation of mansions, castles and monasteries that were declared state cultural property and assign to them new cultural uses. However, this goal could not be successfully achieved for all structures. Furthermore after 1948 the overall direction of state and society after the Communist coup in 1948 changed completely. The former seats of nobility and the Church came to be seen as representative of the old feudalist and capitalist world, which the new ideology consciously sought to suppress and liquidate. The state could not discharge the new social and economic tasks associated with the post-war reconstruction of the country without interfering with private ownership, and owners of historic properties were now faced with confiscation. Immense cultural values ended up in the hands of the state, which the communist ruling power put to use in its own way. Chateaux, mansions, curia and their farm buildings were turned into social and health care institutions, schools, apartments and offices of the new state authorities. Collectivisation and socialisation of the villages brought about even greater losses when, following the Soviet model of kolkhoz, large collective farms and agricultural estates were formed, acquiring artistically valuable structures for their economic and manufacturing needs. By putting them to inappropriate use and making utilitarian reconstructions and alterations to them, they inflicted irreparable and permanent damage on their heritage value. What was the status of the heritage preservationists during the socialist era? Heritage preservation had come under the competence of the Department of Arts, Museums, and Monuments Preservation of the Representative Authority for Education, Sciences, and Arts (1948-1953). However, a handful of workers in Bratislava could not ensure the systematic protection of the huge monument stock of Slovakia. In 1948 the execution of heritage preservation and restoration was entrusted to the newly-created regional administrative authorities – the Regional National Committees (KNV). However, this did not improve in any significant way the unfavourable situation in the care of Slovak monuments. KNV lacked professional cadres who could carry out their work competently. The setting up of a specialised institution with a team of qualified specialists was thus inevitable. Finally, in March 1951, by the Decree of the Plenipotentiary for Education, Science and Art L Novomesky No 9864-I/5, of 15 March 1951, and with effect from 1 January 1951, the Monuments Preservation Institute was set up as a professional body for the scientific organisation of preservation, registration and research of cultural monuments and historic landscapes and the advisory body for the rehabilitation of monuments in Slovakia. Regional and district national committees continued to be the executive bodies for monuments’ regional rehabilitation. The most important act of the Monuments Preservation Institute, later renamed the Slovak Monuments Preservation Institute (1951-1958), was to start work on the register of monuments in 1954. A team of three workers (an art historian, an architect and a photographer) gradually walked through all the Slovak villages and conducted basic research on all their valuable structures. The basic research was completed in 1960. It became the foundation for the compilation of the official list of Slovak monuments, also becoming a valuable documentation resource. The Slovak Monuments Preservation Institute prepared the methodology for the restoration of monuments, introduced co-operation into the planning of preservation undertakings and developed expert background materials for planning and steering plans. Its workers also conducted research on architecture, assessed and approved projects, monitored and decided upon acceptance proceedings, and evaluated the undertakings of monuments preservation. Restoration workshops, whose establishment and activities required huge investment, were slow in coming to existence. Before taking to the monument restoration work itself, departmental specialists carried out special research into movable monuments and prepared reference materials for restoration. With the passing of the new Act of the Slovak National Council No 7/1958 Coll on Cultural Monuments, a new chapter in the state care of monuments began, with an emphasis on the notion of ‘socialism’. Monuments preservation became an officially-proclaimed interest of the socialist society. Monuments were divided into special categories (national cultural monuments, and municipal historic districts) and the State Monuments Register was created (lists of state immovable and movable historic property). Increased attention was given to monuments of workers’ and peasants’ revolutionary movements, the history of the Communist Party of Czechoslovakia, the Slovak National Uprising and the liberation. The Slovak Institute of Monuments and Nature Preservation (SÚPSOP, 1958-1981) was the successor to the later Slovak Monuments Preservation Institute. Its work responsibilities included research, surveying, documentation, scientific evaluation and popularisation of historic monuments, study of theoretical and practical questions of preservation, conservation, restoration and cultural use of monuments, provision of expertise and methodological guidance in undertaking monuments preservation, conservation, restoration and designation of cultural use. The Institute’s activity also included nature conservation. National Committees continued to have direct responsibility for the rehabilitation and administration of monuments, setting up their own monument preservation organisations – the Regional Centres of State Monuments and Landscape Preservation in Bratislava, Banská Bystrica and Prešov (1960-1991). The main task of SÚPOSP continued to be the field research of monuments, which had commenced in 1954. It resulted in the four-volume Inventory of Monuments in Slovakia (1967-1978), the most comprehensive lexical scholarly work on the physical heritage of Slovakia. The comprehensive research carried out on Slovak monuments (archaeological, historical, art historical, architectural, documentational) proved to be the greatest success of SÚPSOP, making it a great scientific contribution. Simultaneously, rescue efforts began on vernacular architecture, both on-site and relocated to open-air museums of architecture. Research into movable historical property was completed for the whole republic. The year 1981 saw another organisational change. The preservation of nature was separated from the institute, giving rise to the Central Office of State Nature Preservation. In the area of heritage preservation, the Central Office of State Heritage Preservation was set up. Restoration, supported by chemical and physical laboratories, was carried out at state restoration studios (1981-1994); district restoration studios were also built in Bratislava, Košice, Banská Štiavnica, Levoca and Banská Bystrica, their main activity being cultural monuments restoration. This was preceded by technical preparations comprising of art history, chemical-technological and restoration research. Implemented restoration works were scrutinised and evaluated by commissions. 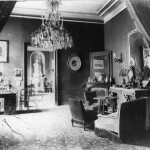 Equally, the studios involved in the research of technologies, methods and the theory of restoration undertook detailed graphical, photographic, and X-ray documentation. The State Heritage Preservation Institute (ŠÚPS, 1981-1991) was the successor to SÚPSOP. A separate archaeological workplace became its new organisational component. Tasks of a conceptual nature were also dealt with. Forecasts for heritage preservation were made up to the year 2000, as were forecasts on the concepts of protection, rehabilitation, use of technical monuments, and the concepts of preservation of movable heritage, historical green vegetation, archaeological localities and historical urbanistic sets. By now the task of building a Central List of Cultural Heritage and the related task of developing a method and technique of filing cultural heritage in an automated register were becoming increasingly urgent. The existence of the Central List of Cultural Heritage was legislatively provided for in the new Act on State Heritage Preservation No 27/1987, which came into effect from 1 January 1988 until 2002. Overviews of completed rehabilitation undertakings began to be periodically produced, and industrial monuments were given increased attention. In the late 1980s, heritage preservation in Slovakia had scores of major, almost monumental heritage undertakings and actions to its credit, but also a large number of minor rehabilitation works, thanks to which the immense cultural wealth of the country was to a large extent rescued. However, it should be acknowledged that socialism did not recognise the shortage of funding. Financial budgets of ‘approved’, ie state-supported, undertakings increased year after year, and repairs dragged on for decades. Structures falling outside the interest of official ruling circles, and also of their owners, were still left standing as a great exclamation mark. Much heritage property for which no adequate use had been found remained in the hands of municipalities, different economic and agricultural businesses and other state establishments and organisations. No financial investments were made in the structures that were not used ‘in the interest of socialist society’. Churches were a special chapter, quietly connived at by the communist authorities. It was only the constant emphasis on the immense historical and artistic value of sacral structures which induced interested officials to sponsor their rehabilitation and restoration. The evaluation of the methodological principles of socialist monuments preservation today is debatable. Indeed, the improvement of the technical condition of architectural structures did not always entail the preservation of all its heritage value. The shortage of skilled artisans, the limited number of enterprises specialising in reconstruction works, the use of available materials and standardised elements, coupled with utilitarian interventions to accommodate the new uses to which the structures had been put, led at times to the impairment or complete degradation of constructions and architectural and artistic elements. The social and political events of November 1989 (the ‘Velvet Revolution’) resulted in many changes, some of which also related to heritage preservation. The new constitutional arrangements (the rise of the Slovak Republic in 1993) brought in their wake new practical problems and additional legislative changes. Concerns over the future surfaced in the concrete work of preservationists. While one group of workers became exceptionally busy, others remained indifferent to change and proved unwilling to be activated beyond long-standing accepted standards. Seeking the right way was a long-term process, and this did not always bring quality improvements. Quite the reverse, amidst the maze of economic and political problems, heritage preservation began to move to the margins of society’s interest. As early as mid-1991, the Ministry of Culture of the Slovak Republic suspended all rehabilitation undertakings on cultural monuments. The socialist method of funding reconstruction works on historic structures had gone for good, but a new and adequate model of investment in heritage restoration was sought for a further decade. The organisational and conceptual chaos which arose in the setting up of monuments preservation bodies was an expression of the inability of the state to tackle the issues of Slovakian cultural heritage under changed political, social and economic conditions. In the ten years which followed no fewer than four organisations were successively set up with different statutes and competencies and varying organisation structures. The Slovak Monuments Preservation Institute (SÚPS, 1991-1994) was the first institution after the Revolution. As the result of the changes in public administration, the 21 regional monuments preservation workplaces were delimited into this institute as its organisational components. The former plan of main tasks had to be altered and the entire activity concentrated on organisational change. The Monuments Preservation Institute (1994-1996) resulted from the merger of the Slovak Monuments Preservation Institute and the state restoration studios. Its new director, PhDr. Katarina Kosova, came up with a new concept for the protection of the Slovak monuments stock, drawing on the best ideas of the original Monuments Institute from the 1950s. The main philosophy of the Monuments Institute was to deepen the expert care of cultural monuments in Slovakia. This began with the implementation of methodological documents pertaining to the description of cultural monuments and monumental structures, the protection of artistic and craftsmanship decoration and the identification of movable monuments. The efforts of the new Government at this time to reorganise the Slovak cultural sector from the ground up was reflected in the rise of national methodological centres which popped up in 1996 for all areas of culture. Monuments preservation was now concentrated in the National Monuments and Landscape Centre (1996-199), the main remit of which continued to be the preparation of background materials on the restoration of monuments for decision by state administrative bodies and implementation of selected restoration actions. Activities related to the protection of landscapes from undesirable human interventions and the preparation of documentation on territorial planning outside monument-protected territories was added to these traditional tasks. This unsustainable model of cultural heritage protection was cancelled and The Monuments Preservation Institute (1999-2002) came into existence with a new statute and organisational structure in February 1999. The main tasks of this institute were to ensure expert activities relating to the protection, rehabilitation, preservation and use, access to and presentation of cultural monuments and protected historic landscapes, to keep files of monuments and historic landscapes in the Central List of Cultural Monuments, to restore selected cultural monuments and other art works, to maintain a specialised archive, and to co-operate in delegating all these tasks with partner organisations, both domestically and abroad. Regional centres in Bratislava, Trnava, Nitra, Trencín, Banská Bystrica, Žilina, Prešov and Košice continued pursuing their functions, as did the restoration studios in Bratislava, Banská Bystrica and Levoca. Yet there still was a pressing need for a new monuments preservation law that would reflect both the changes in society and the philosophy of care for monuments when addressing the conceptual and day-to-day problems of monuments protection. Hence, the final period of the Monuments Preservation Institute as a professional and methodological institution was marked by expectations of the preparation of the new law. Its last months were affected by the transformation of the Monuments Preservation Institute into the Monuments Board of the Slovak Republic, which entailed an essential change in its legal status. The dissolution of the Monuments Preservation Institute (31 March 2002) saw the closure of a long chapter of the history of monuments protection in Slovakia which had begun in the first half of the 19th century, was methodologically shaped in the period of first Czecho-Slovak Republic and saw its heights during the period of socialist monuments preservation.